When you think of personal injury lawyers, you might assume we only handle car wreck cases. And while we are passionate about helping our Arkansas neighbors who’ve been the victim of a reckless driver, personal injury encompasses much more than that. 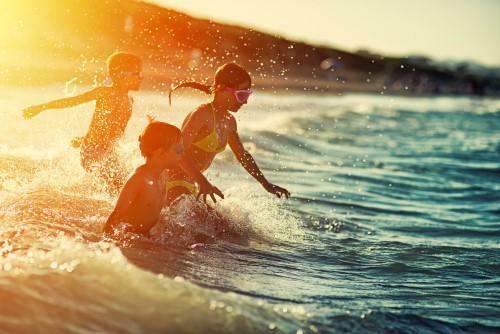 While water is the source of lots of summer fun, it can also be the cause of serious injury or even death. In Arkansas, our motto is “The Natural State” for good reason: you’ll find plenty of natural water sources, from smaller ponds and bayous to more well-known lakes and rivers, including Lake Hamilton in Hot Springs, Greers Ferry Lake in Heber Springs, the Buffalo River in northwest Arkansas, and the White River which runs through Batesville. Or, perhaps, a local waterpark or personal pool is more your style. Wherever you’ll be cooling off this summer, it’s vital to practice smart water safety. About ten people die each day in the United States from unintentional drowning. Drowning ranks fifth on the list of leading causes of unintentional death in the US. And this number doesn’t include those who live but may suffer permanent injuries, including irreversible brain damage. 1. Never swim alone. Yes, adults, the buddy system even applies to you. Even if you’re an experienced swimmer, there may be factors outside of your control that put you in danger. You need a friend nearby to notice if you’re in distress and call for help if anything should happen. 2. Learn to swim. Every child is different, but experts say you can begin safely teaching children to swim when they’re as young as 6 months old. Whether you’re 3 or 35, though, it’s never too late to learn! Many local public pools offer inexpensive lessons. 3. Learn CPR. Parents, caregivers, and babysitters should become certified in CPR and first aid. A victim can spend critical minutes without oxygen if you wait for paramedics to arrive to begin administering first aid, resulting in permanent brain damage or injury. 4. Wear a life jacket if you’re boating, whether that’s in a kayak or canoe, sea-doo, or larger boat. It’s simply not worth the risk. 5. Never leave a child unattended in or around the pool. Actively observe your children and don’t assume that they’re ok because they’re quiet. Drowning is often called a “silent death” because victims are so focused on getting air that they don’t make a lot of noise or splashing motions. If your child is going to a friend’s pool or local pool where you can’t be there to supervise, be sure to check ahead of time that lifeguards or vigilant caretakers will be present. 6. Reach and throw; don’t go. Your first instinct may be to jump into the water to help someone who’s in trouble, but that puts both of your lives at risk. A person who is struggling in the water may panic and pull you downward if you try to swim to them. Instead, throw them something that floats or grab a pole that you can use to reach them. At Taylor King Law we know firsthand how enjoyable it is to spend summer days by the pool, in a fishing boat, or paddling a kayak. Unfortunately, we also see people every day whose lives have been forever changed by water accidents. Never assume it couldn’t happen to you. Learn to swim, practice smart water safety, and teach your children to do so as well. Have you or a loved one suffered injuries in a water accident where another person was at fault? You may have legal rights to compensation. The attorneys at Taylor King Law would be glad to talk with you, hear your story, and give a professional opinion. This consultation is FREE and at no obligation to you. Get started today by calling Taylor King at 1-800-CAR-WRECK (227-9732). Choose an experienced Arkansas injury attorney who will be On Your Side, By Your Side.